If there ever was a thing as dressy minimalism, this would be it. Incorporating culottes into my wardrobe has been long overdue. Wearing an all black look never has to be boring. In my usual fashion, I gravitate towards unexpected details and rich textures to make a look interesting. Mixing a sequined top and studded heels, in contrast with the baroque texture of the vest came so natural to me. 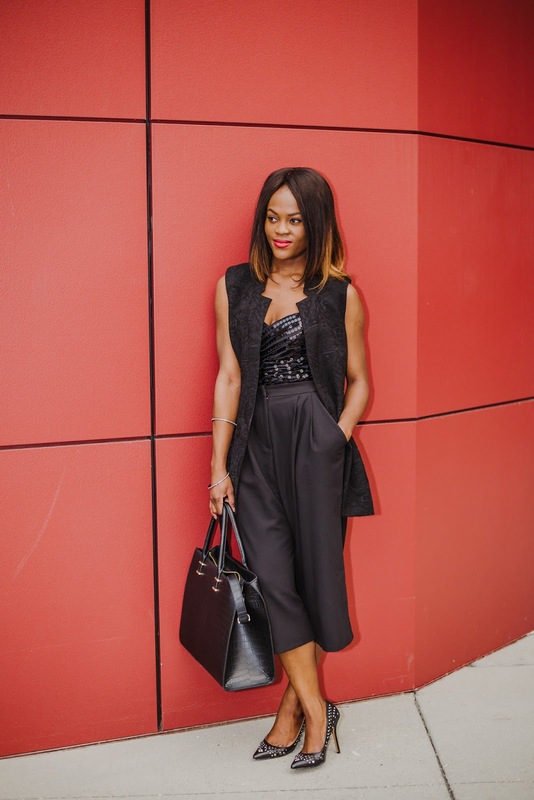 Culottes and the sleeveless jackets are the big statement pieces this season. Sleeveless jackets topped over any outfit instantly adds a touch of polish to a look. 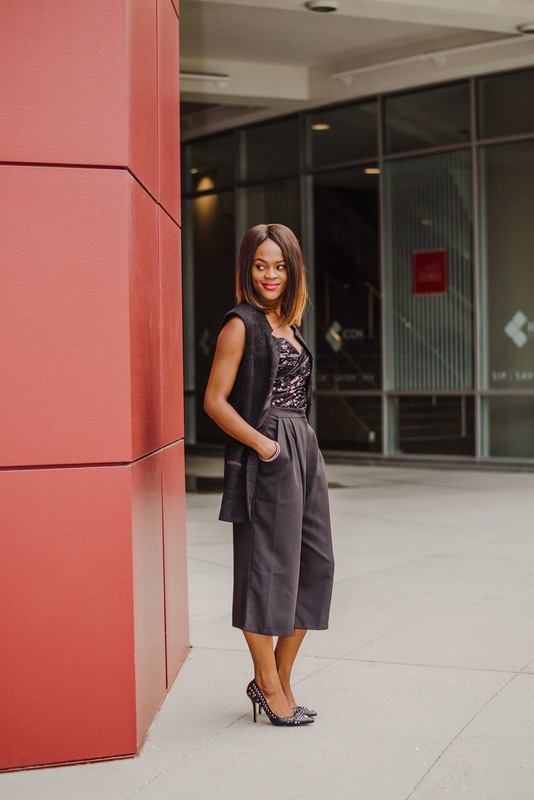 Culottes are the next best thing to jumpsuits or rompers; very easy to wear and all so comfy. 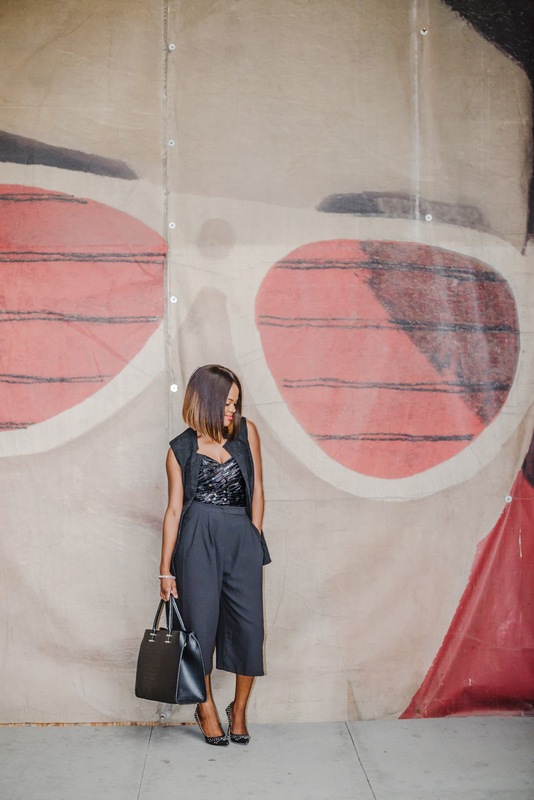 Paired with a crop top tucked into the pants, the illusion of a jumpsuit can be created, making it a versatile piece. Get creative! Depending on your height, play with with different lengths. However, you will probably always hit it right on the nose when you choose a length that hits right below mid-calf. Wishing you all, a wonderful week!